We have the pleasure of inviting you to participate in the scientific conference “Industrial Scale Bioeconomy and its Requirements” which will take place June 14 – 16, 2017 in Lappeenranta, South-Eastern Finland. Proceedings of the conference: Scandinavian Forest Economics No. 47, 2017. Proceedings from joint seminar arranged by NB-NORD and NOFOBE. Lappeenranta, Finland, June 2017. Hans Fredric Hoen, Cathrine Glosli (eds.). Over 16 milj. 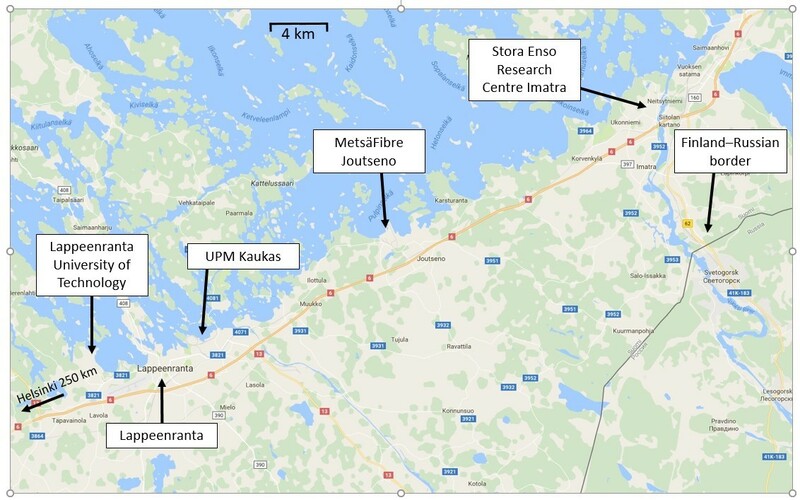 m3 of wood used in Lappeenranta, Joutseno and Imatra.